Meeting the needs of the present without compromising the ability of future generations to meet theirs is a guiding principle behind every decision we make. So when it came time to build you an eco-friendly hotel in Downtown Chicago, our conscious is clean and green. Because doing good for people and planet is good for business. Our founder, Sir Richard Branson, has created a strong foundation for us to be responsible to our planet, and has gathered like-minded people to put the promise “Change Business for Good” into action. 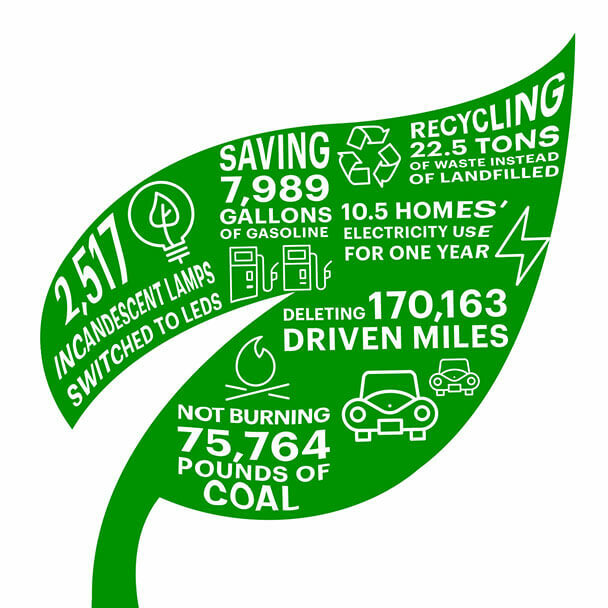 In turn, our leadership and staff have committed to improving the guest experience along with reducing our impact to the planet, adopting operations that will move us toward our goal of net zero; net zero carbon and net zero waste. Virgin Hotels will be reporting our carbon footprint based upon nightly room usage, via, HCMI (Hotel Carbon Management Initiative), an environmental monitoring system created by the WTTC (World Travel & Tourism Council). Investment in Renewable Energy and related projects will reduce our carbon footprint in years to come. From hotel materials to employee mindsets, Virgin Hotel’s sustainability platform aims to meet the needs of today without compromising tomorrow. We believe in people and planet, and reflect that philosophy in our truly green recycling, efficiency, energy and air quality standards. Together with our guests, our five-point program can help create a new standard and better environment for all. Learn more about our approach to sustainability and the steps we’ve taken in our hotel to focus on the “Three P’s” to achieve our green-goals; People, Planet and Partners. Click here to read the article.